Futurist, Lecturer, Consultant and best-selling author who specializes in technological, social and educational futures. Prof. Passig is Associate Professor at Bar-Ilan University (BIU), Ramat-Gan, Israel, where he teaches at the Graduate School of Education. His courses include: Systems Theories, Future Methodologies, and Technological, Social and Educational Futures. He heads BIU’s Graduate Program in Communication Technologies as well as BIU’s Virtual Reality Laboratory. Prof. Passig has consulted for many corporations as well as public and private sector institutes. He is the chair in one of his own FutureCode Ltd., which develops and employs tool kits of computerized Futures methods in decision making processes. He has consulted in Israel, Asia, Europe and North America. 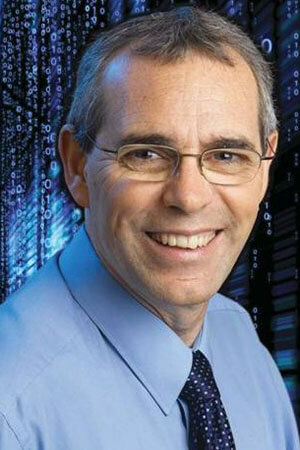 He has served as the chief advisor to the Commissioner for Future Generations in the Israeli Knesset. Among his many activities, he is a member of the Israeli National Council for R&D. Prof. Passig’s bestseller books are The Future Code and 2048. Each has received Israel’s coveted Gold Book Award. His most recent book, Forcognito – The Future Mind, was published in Jan. 2013 and was at the top of the Israeli best seller list. www.thefuturecode.com. Prof. Passig holds a Ph.D. degree in Future Studies from the University of Minnesota, Twin Cities. A new civilization is on the rise under human’s guard – the Things’ civilization. At first the human species is connecting them for his needs. Thereafter, they will demand autonomy. The lecture will address the characteristics of the seventh kingdom that is evolving. We will delineate its impact on the human’s consciousness. Like any civilization they will start their social networks. For a century most of the scholars have failed miserably to predict the future of Israel. This lecture explains why and suggests a valid methodology with which one can predict with higher reliability the future of Israel and world Jewry. Depending on allocated time it will cover several trends: demography, social, cultural religious, etc. The pace of technological and scientific paradigm shift and its impact on future technologies and Industries is well debated worldwide. This lecture will uncover the behind the scene debates around this paradigm accompanied with leading edge examples in scientific and technological breakthroughs that support each argument. There are some major scientific discoveries and technological breakthrough that are in the horizon. These developments have the capability to shake the foundations of industries, societies and economics. This lecture will discuss some of these developments and elaborate on their impacts.